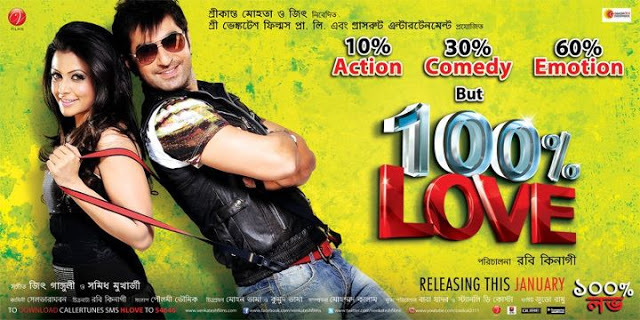 100% Love (Bengali: ১০০% লভ) is a 2011 Bengali romantic comedy directed by Rabi Kinagi. The film is a remake of the 2007 Telgu film Aadavari Matalaku Arthale Verule and starred Jeet and Koel Mallick in the lead roles. 100% Love released on May 6, 2011.